Kiwanis board member Jerry Ball presents a check for $750 from the Friday Harbor Kiwanis Club to Friday Harbor Elementary School for support of their after-school reading program. 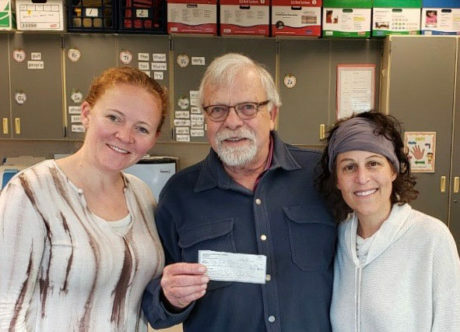 “The money that was generously donated by the Kiwanis Club has allowed us to purchase snacks for the kids, which is so important after a long day at school! They are feeling energized and excited to come in” states Tiffany Christensen.